Home Fashion & Men Drop your pants! Okay, don’t get us wrong, we mean ditch your jeans and formal pants for some new bottoms this wedding season! We wrote about the biggest trends for the festive season in the Goodfellas magazine, which was on the racks in oct 2014. If you failed to grab it, this is where you get lucky :p ! We are dedicating the first few posts of the year to all the gentlemen out there as big thank you for your support through 2014! We recommend these 3 trends for the wedding season! Let us know if you would try them! 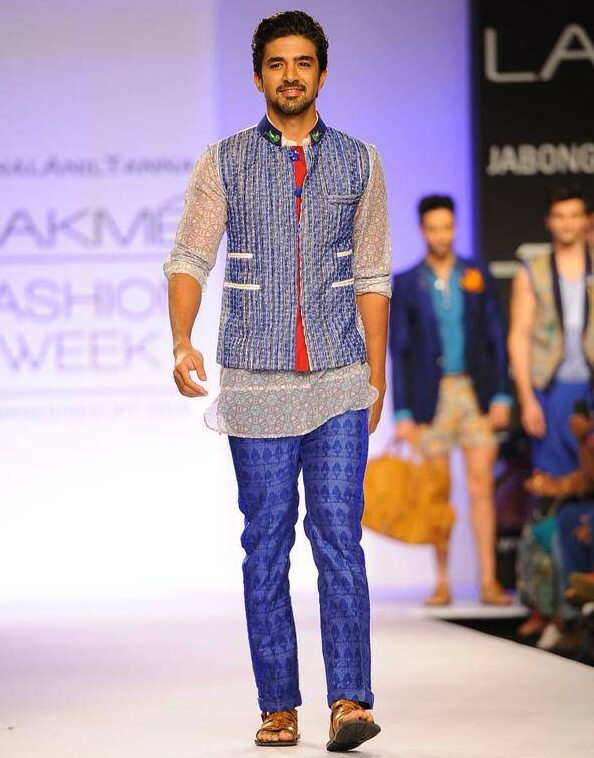 Printed pants: Printed pants may be passé and overdone for women, but prints for men in ethnic wear is a rage! Ditch your standard white, beige and black pajama and experiment with bottoms. We recommend printed pants and if you are up for it pair it with a printed Kurta too! 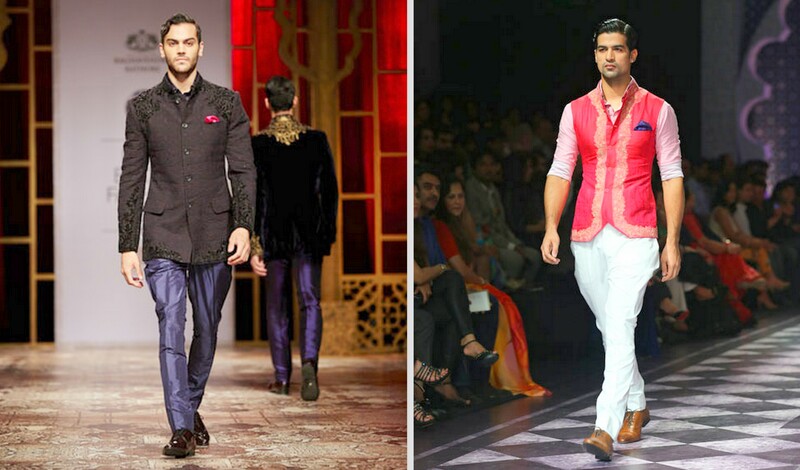 Stand out in the baraat with printed pants, kurta and vest. 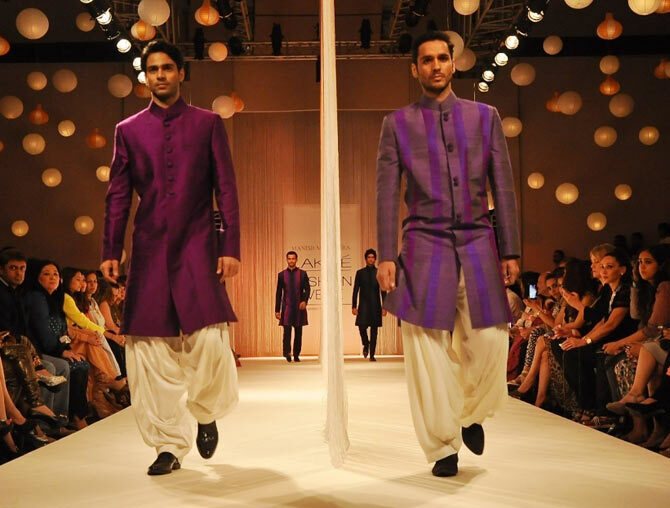 The Dhoti: this wedding season, try the quintessential Indian ethnic wear for men for centuries – the dhoti. If you are the brother of the groom or one of his best men, this is a great choice to look the part! The modest dhoti has seen a lot of outing on the runway from Manish Malhotra, Sabyasachi to Rohit Bal. 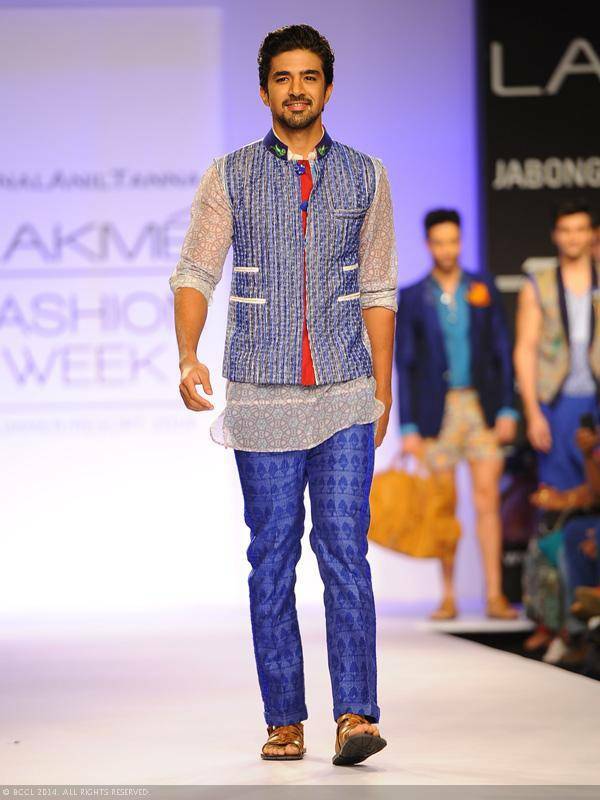 Colorblock a coloured dhoti with a contrasting kurta or stay classic with a jewel toned kurta paired with a cream dhoti. Don’t fret about draping or managing the dhoti, just get a pair of pre-draped dhotis which are easily available on most online shopping portals. Breeches: Also known as Jodhpuris, are a great addition to your wardrobe this season and will definitely bring out the charming prince in you.This classic men’s wear piece has a royal and equestrian root. 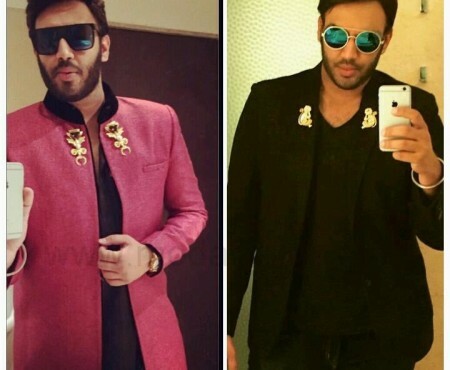 While they are often touted as the Indian equivalent to a western tux, Jodhpuris are slowly making their way into main stream fashion. 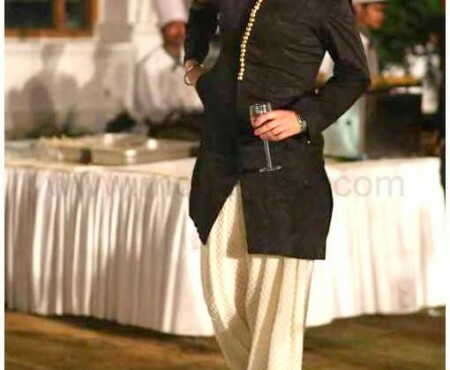 Raghavendra Rathore is attributed with bringing back this Jodhpur royal outfit back to mainstream and if you are up to splurging, definitely pick a pair of RR breeches. While big labels may not be in our reach just yet, the trend is definitely adaptable through affordable breeches available at Jabong and Raymonds, . 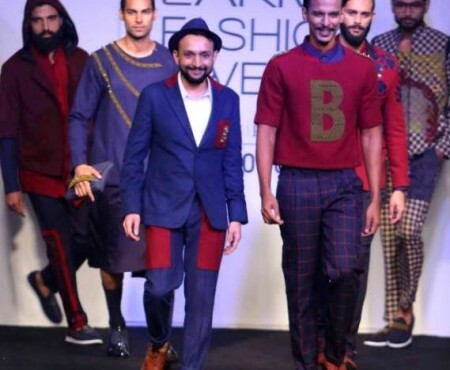 Pick a deep solid colors like blue, maroon or brown; pair it with a solid half sleeved shirt and a printed or solid Nehru jacket. Don’t forget to practice the smile and humble nod for the compliments that will follow. Keep watching this space for the next post on men’s essentials for this wedding season! I think prints are so hit on men! Great blog! Love the post.